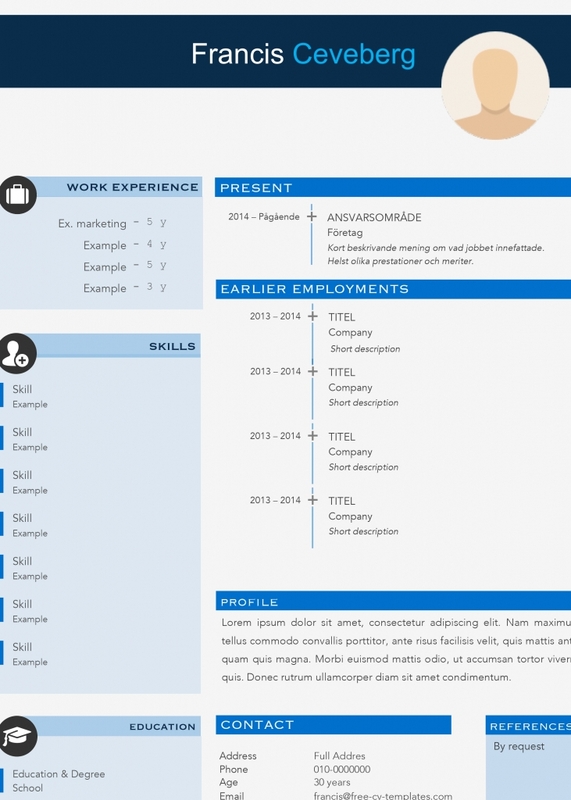 On this page you find our modern cv and resume templates – They all have a traditional and classic structure, which means they will work great for any kind of job fields, but with a modern touch to them. They are made in Microsoft Word and are all free to download. This template will impress the employer for sure. 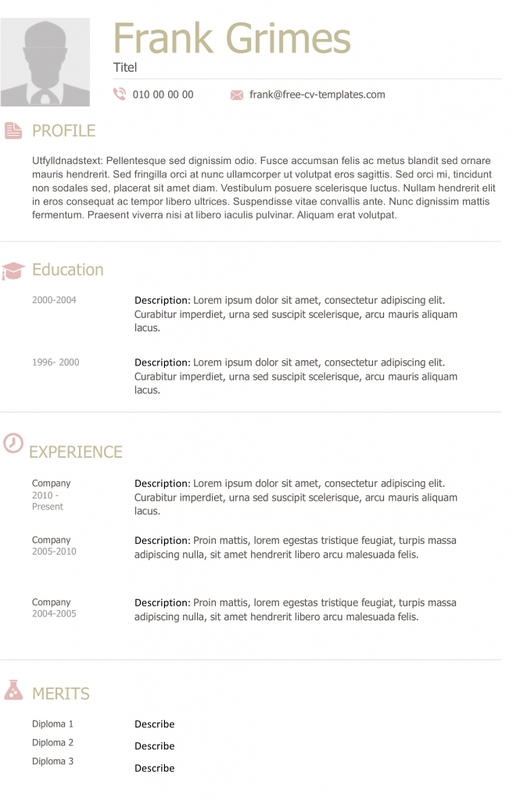 Contains elements for you to describe your employments, skills, education and profile. 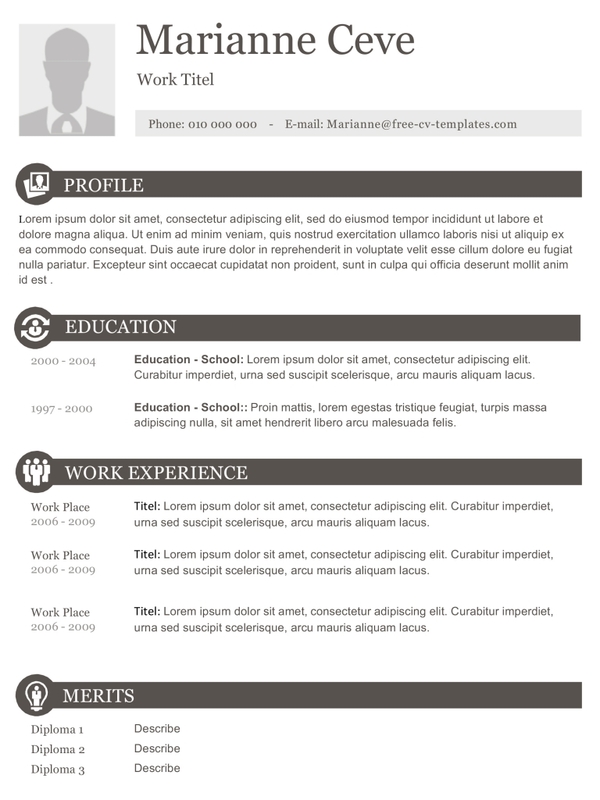 Template with a rather formal look where you describe your education, work experience and merits. 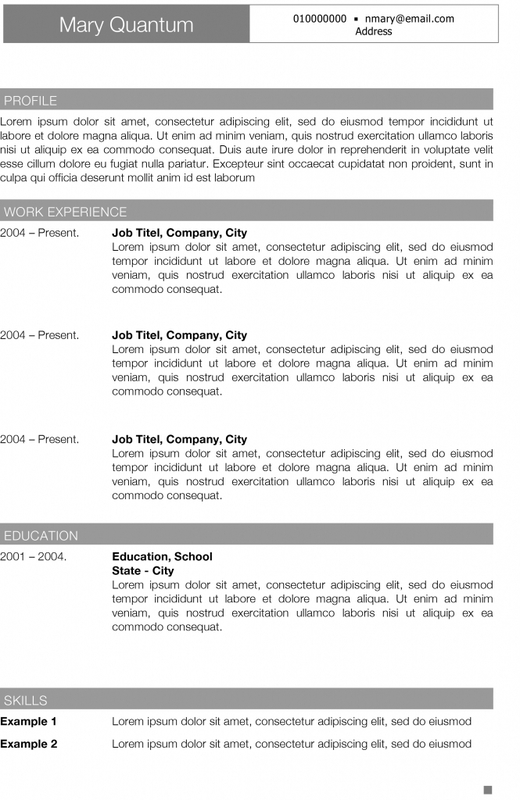 Beautiful resume in grey and orange, built in two columns and with element icons. 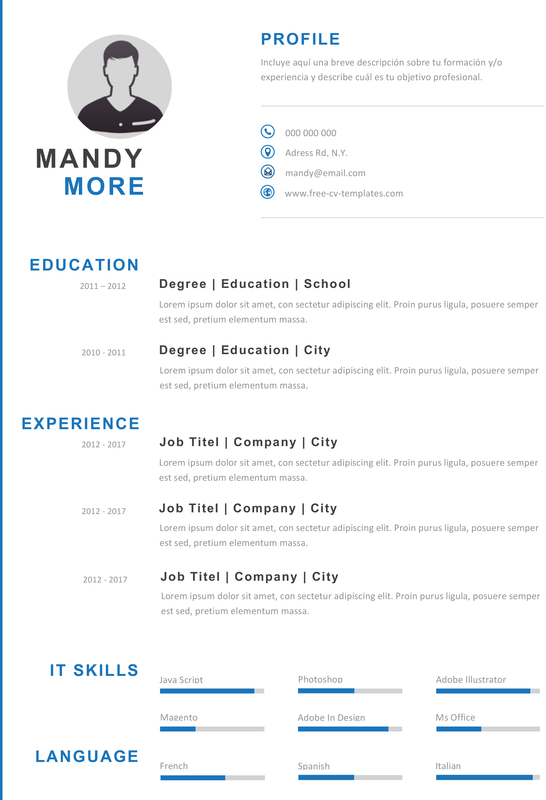 This is a modern resume/CV template that will make it very easy for the reader to get a feel for you and your knowledge. 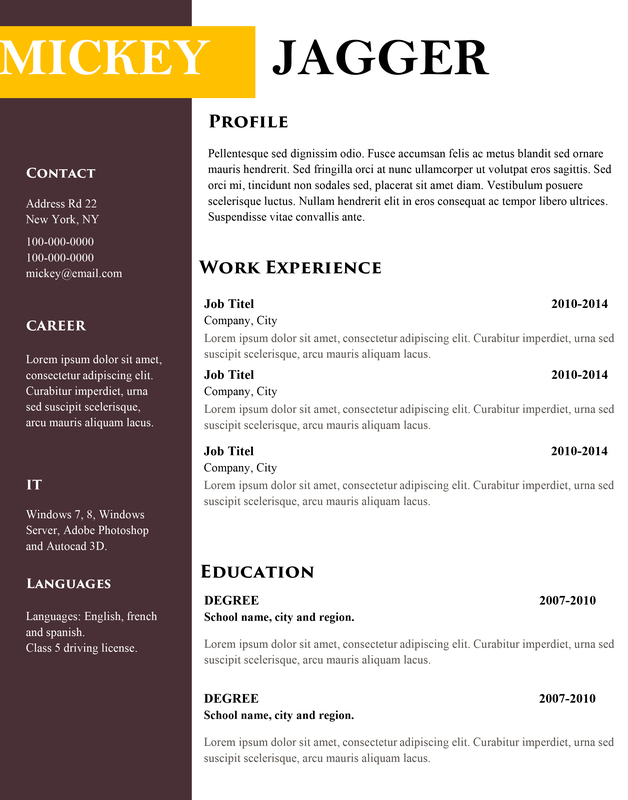 Download this apricot coloured CV for free. 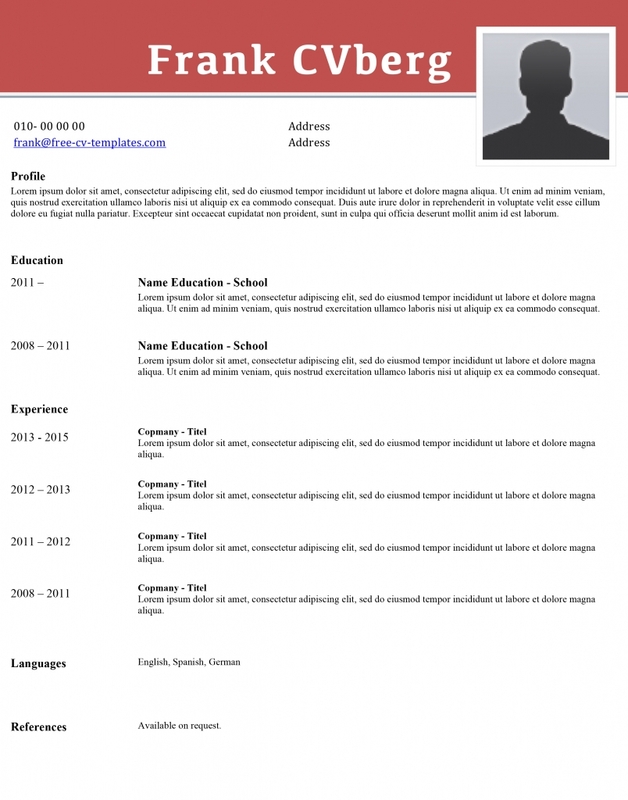 Highlight your skills and experience as well as adding a profile and short description of your educations. 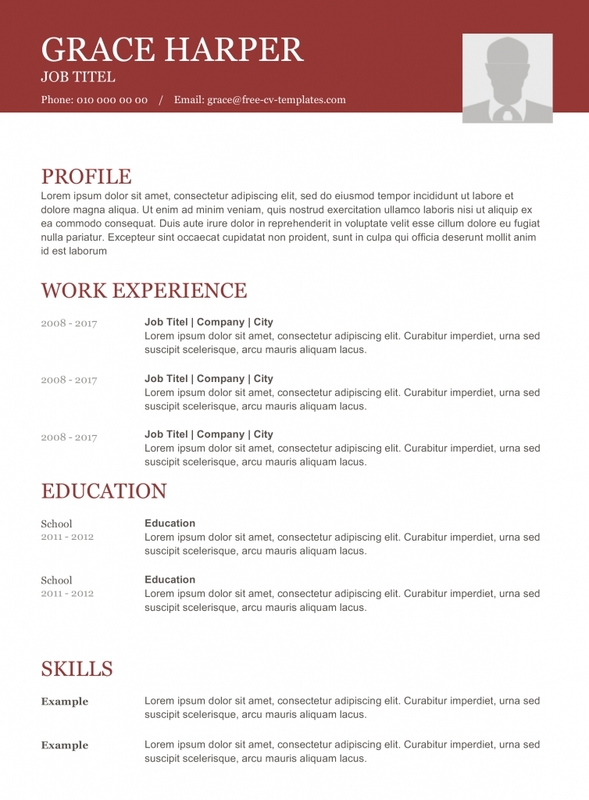 A classic CV template with a nice modern touch. 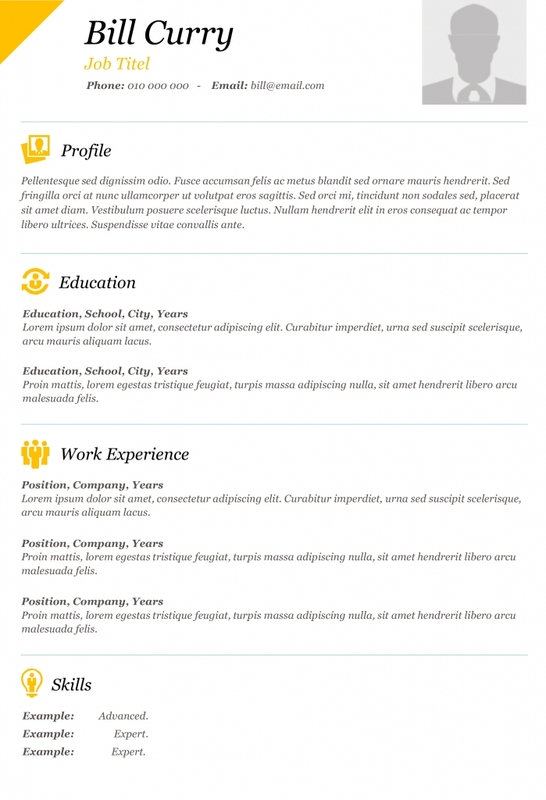 All the necessary elements for a good job application; profile picture and profile description, work experience, education and a list of skills. A rather formal looking template with a warm color of deep red. 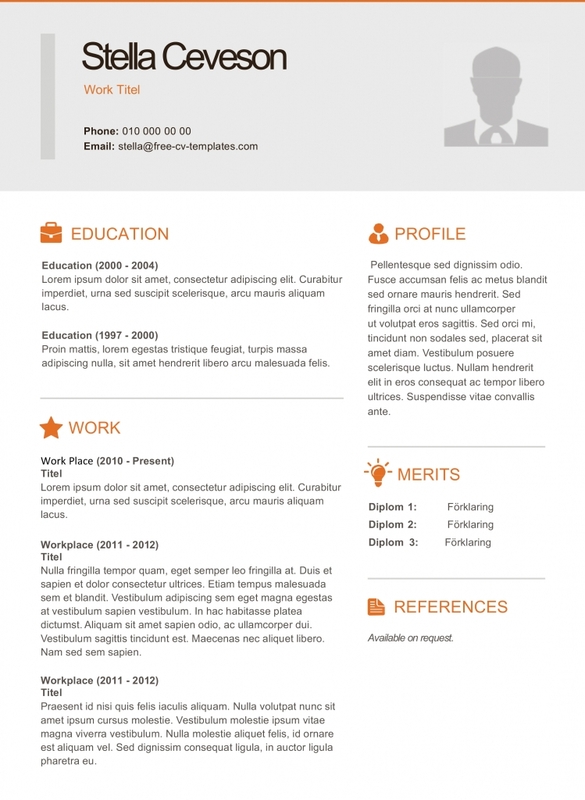 A CV and resume template with a professional and creative look. Describe your goals, work experience and education, and highlight your professional skills. 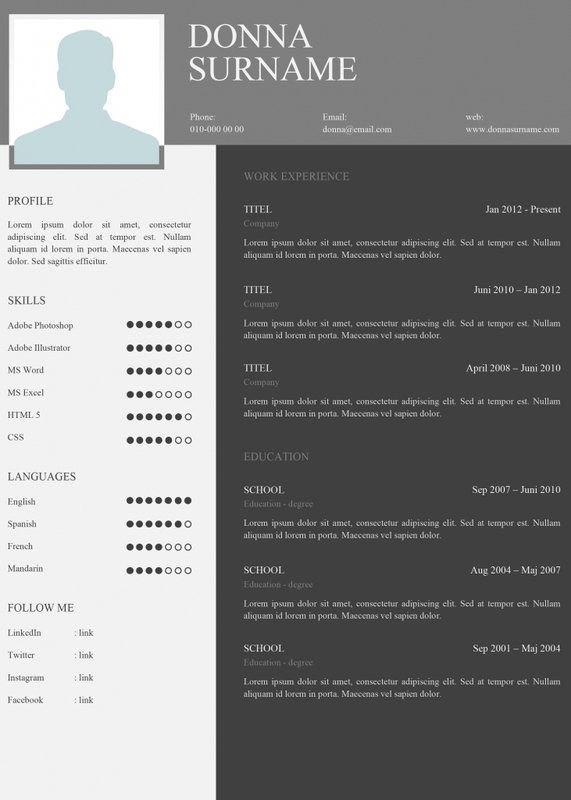 A stunning modern CV and resume template that will raise an eyebrow or two. Modern design and hard to believe it’s been done in Word and not Adobe CS. 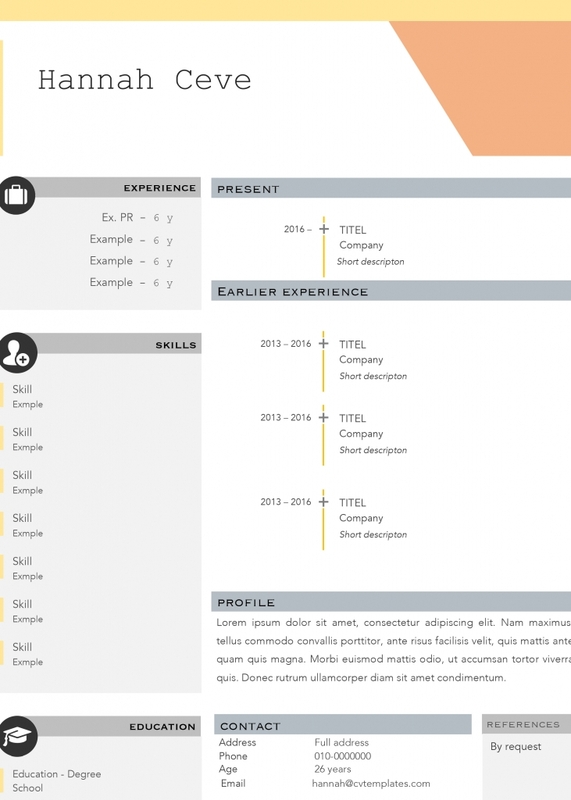 A beautiful and dynamic cv and resume template that is one of our most popular ones. It is made in and for Microsoft Word and comes in the format docx. 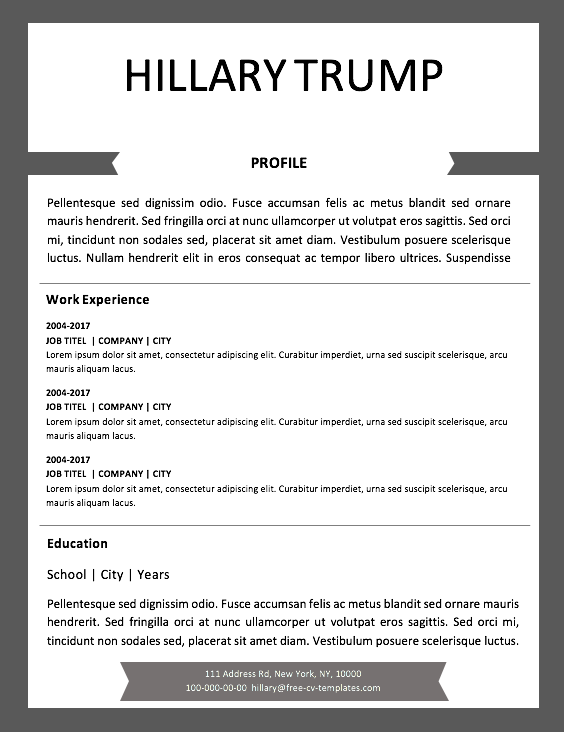 Another modern CV template. This template is a easy one with a modern touch. 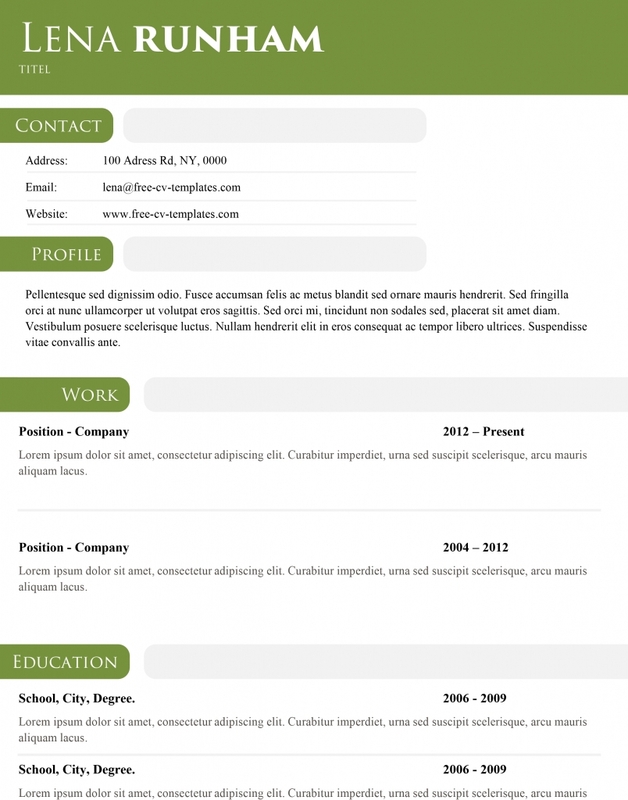 Easily change the colors on the frame and other design elements to suit you and the job you will be applying for. 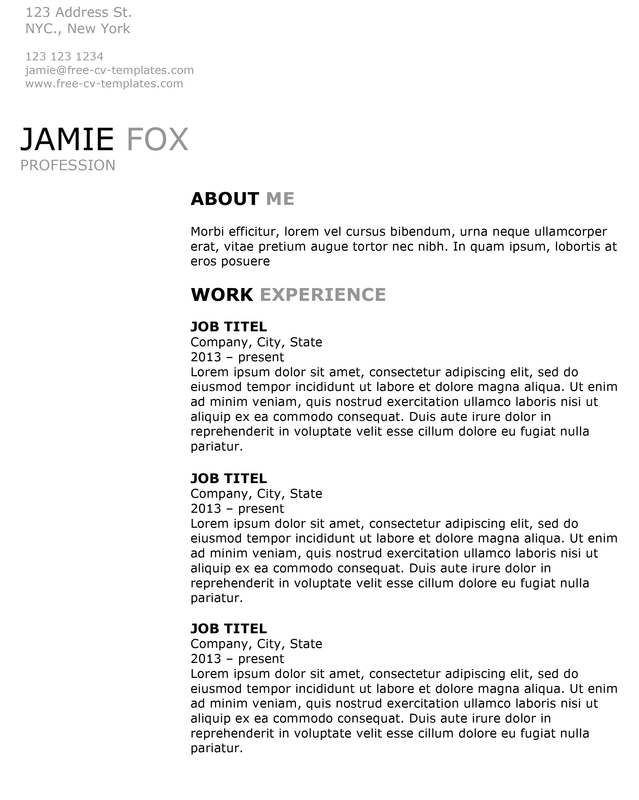 A simple, but very beautiful and modern, template for your CV or resume. Good for any kind of office jobs or similar.